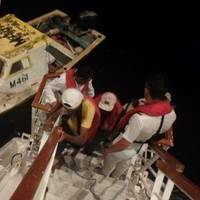 A cruise ship came to the aid of a small fishing vessel that was adrift after running out of fuel about 25 nautical miles from Barbados.At approximately 10 p.m. on August 29, Carnival Fascination responded to a distress signal from two fishermen while on a seven-day Caribbean cruise that departed San Juan on August 26.The two Barbadian men, ages 43 and 51, were rescued by the cruise ship and taken on board where they received medical assistance, a hot meal and accommodations. Carnival Cruise Line has previewed its new Fleet Operations Center (FOC) in Miami, the largest and most advanced in the cruise industry. 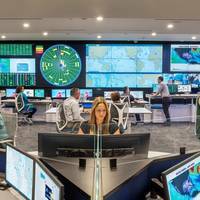 The 35,000-square-foot facility is custom-designed for hands-on, around-the-clock monitoring and support of the line's 26 cruise ships. The Carnival Cruise Line FOC is the first facility of its kind in South Florida and features a state-of-the-art tracking and data-analysis platform that enables real-time information sharing between Carnival ships and specialized shoreside teams designed to support fleet operations. 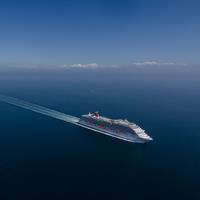 Classification society Lloyd's Register has bestowed the "ECO Notation" designation on the new Carnival Vista, marking the first Carnival Cruise Line ship to achieve this distinction. The notation recognizes that the cruise line designed, built and operates Carnival Vista in a manner that exceeds current maritime statutory environmental regulations. Lloyd's Register (LR) established a set of voluntary standards that vessels can seek to achieve that exceed regulations established by the International Maritime Organization and other national and international regulatory agencies. 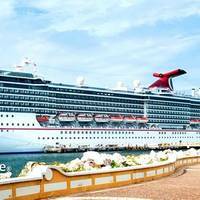 Carnival Cruise Line has announced plans to commit two ships to the China cruise market: Carnival Miracle and Carnival Splendor. 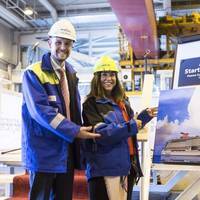 Both ships will be based in China year-round, with Carnival Miracle to begin China sailings in spring 2017 and Carnival Splendor to begin in spring 2018. 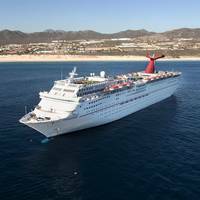 Christine Duffy, president of Carnival Cruise Line, gave the following statement: “Carnival is the world’s most popular cruise line and our style of cruising appeals to guests of all ages and particularly families. "Multi-generational families also choose to vacation with Carnival more than any other cruise brand. The Chinese cruise market, expected to become the world’s largest based on surging demand for cruise vacations by Chinese travelers, will see the arrival of two additional cruise brands in 2017 as Carnival Corporation & plc further expand its operations in the nation. Carnival Cruise Line and AIDA Cruises will join Costa Cruises and Princess Cruises in the Chinese market, making Carnival Corporation the first company to operate four brands in China, the company said today in announcing its plans for further development in China. Ron L. Phillips has been appointed Senior Vice President of Human Resources – Office of People and Potential for Carnival Cruise Line. 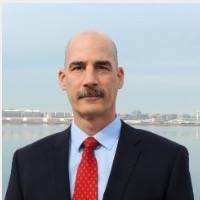 In this capacity, Phillips will oversee shoreside and shipboard human resources for the world’s largest cruise line, including talent acquisition, talent management, leadership development, human capital planning, employee engagement, compensation and benefits, and performance management. Phillips begins his new role effective October 19 and will report to Carnival President Christine Duffy. 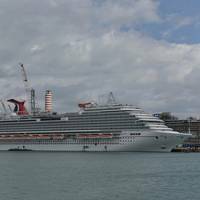 Starting in February 2016, Carnival Cruise Line passengers sailing from Port Canaveral will have the larger Carnival Victory as their vessel for shorter vacations and in December 2016, those seeking weeklong Caribbean cruises will have the new Carnival Magic as an option. 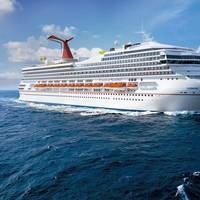 Carnival Victory will replace the Sensation, providing the three-and-four-day Bahamas itinerary with a 34-percent larger vessel that offers a greater variety of on-board features and amenities, including more than 500 balcony staterooms. 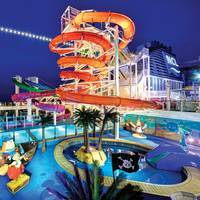 In addition, Carnival Magic will reposition to Canaveral, giving access to the line’s newest class of ship and features such as a WaterWorks aqua park, Cucina del Capitano family-style Italian restaurant and SportSquare outdoor recreation area. 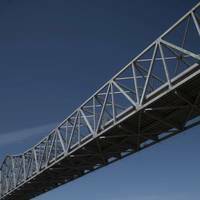 The freezing weather that swept the United States in the first two months of the year led to a surge in cruise bookings as winter-weary holidaymakers headed south to warmer climes. 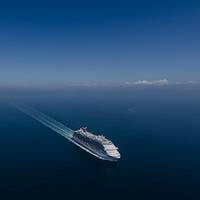 "Many companies have recorded their best booking month ever in January," Christine Duffy, head of trade group Cruise Lines International Association (CLIA), told Reuters at the ITB travel trade fair in Berlin. Large parts of the United States have been gripped by freezing temperatures and snow storms since the start of the year as a series of Arctic weather systems swept the country. 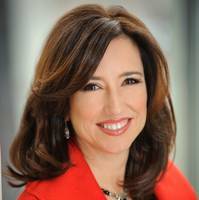 Cruise Lines International Association (CLIA) today issued a statement from President and CEO Christine Duffy on the recently released Government Accountability Office (GAO) report on implementation of the Cruise Vessel Security and Safety Act (CVSSA) of 2010 and cruise industry safety practices. Below is Duffy’s statement in full. 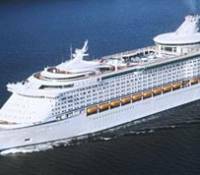 “We are pleased the GAO concluded that cruise lines are complying with the requirements of the CVSSA, and implementation of the law is progressing as intended. 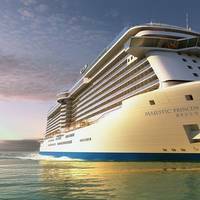 The North American cruise industry continued to be a substantial contributor to the U.S. economy in 2012 according to an independent study commissioned by Cruise Lines International Association (CLIA). The study shows that CLIA’s 26 North American member lines and their passengers and crew contributed over $42 billion in total U.S. economic impact, a 4.6 percent increase from 2011. In addition, the cruise industry generated 356,311 jobs, paying a record $17.4 billion in wages to American workers. Cruise Lines International Association (CLIA) has announced that its Board of Directors approved the adoption of a Cruise Industry Passenger Bill of Rights detailing CLIA members' commitment to the safety, comfort and care of guests in a number of important areas. The CEOs of CLIA North American member cruise lines are each immediately verifying in writing that they have adopted the Passenger Bill of Rights, which is a condition of membership in the Association. CLIA also will submit the Passenger Bill of Rights to the International Maritime Organization (IMO), requesting formal global recognition and applicability under the IMO's authority over the international maritime industry. The Passenger Bill of Rights will be effective immediately for U.S.
Cruise Lines International Association (CLIA) commend the International Maritime Organization's (IMO) Legal Committee's proposals for on-board crime procedures. The International Maritime Organization's (IMO) Legal Committee recently adopted a proposal which CLIA co-sponsored on international standards for crime reporting, cooperation between governments, evidence preservation and care for victims. CLIA first offered the proposal to the IMO in 2011, marking the continuation of the Association's efforts to have such standards adopted globally. In addition to CLIA, other co-sponsors were the United Kingdom, the International Federation of Shipmaster's Associations, and the International Association of Airport and Seaport Police. The proposal was also supported by the United States.